The high-speed Gautrain rail service which travels to OR Tambo International Airport. South Africa is a beautiful country with amazing places to see and experience. The following article provides some information about the various modes of transport available in South Africa. There are international airports in Johannesburg (JNB), Cape Town (CPT), Durban (DUR) and Port Elizabeth (PLZ). The airports are all situated some distance outside of the cities themselves, and taxis are available to take you to your accommodation. Some of the larger hotels also provide courtesy transport, so it pays to make the relevant inquiries. It may be the best option to rent a vehicle as soon as you land, as public transport may not be adequate. The Airports Company of South Africa (ACSA) controls the operation of airports, and should be able to provide information regarding airports. Several low-cost airlines operate within South Africa, ferrying passengers from city to city. When planning a journey in South Africa it is important to check up on local airfares, and compare them to the price of a bus or train ticket over the same distance. Remember also that the further in advance you book, the cheaper the airfare should be. South Africa has a well developed rail network that services all the major centres and also many towns in between. However, travel by rail tends to be slow, due to the long distances involved. 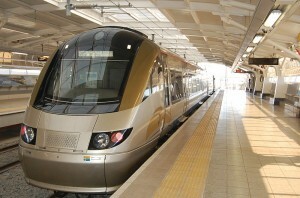 For example, a journey from Cape Town to Johannesburg can take up to 24 hours by rail. If you do not have extensive resources of time, or if you do not wish to be on a train for that length of time, it is recommended that you fly. A railway ticket will cost you roughly half the airfare for the same journey. You should also find out in advance when the train is running, so that you can plan your trip properly, as some cities are not serviced on a daily basis. South Africa’s system of roads can take you practically anywhere in the country, and the roads tend to be in good condition. However, once again, the long distances involved in inter-city travel in South Africa mean that you will probably spend a long time driving. Given the price of petrol (gasoline) at the present moment, it is questionable whether you will save anything by driving. Also make sure that your drivers licence is acceptable to local authorities. The licences of some countries are acceptable per se, while others may need to be converted into an international licence, which is a fairly straightforward procedure. There are various bus lines in operation throughout South Africa. One should be aware, however, that there are not necessarily dedicated bus stops in all towns and cities. Therefore, you may need to spend some time finding out where the bus actually stops. As with rail transport, using the bus will take a considerable amount of time (sometimes as long as 24 hours), and the price of bus tickets does not compare favourably with airline tickets over the same distance. It is important to note that public transport is based around areas of high demand, so you need to do proper research on your route beforehand. You may even find that the only viable option, sometimes, is renting a car and driving. South Africa has a long coastline, and has several ports. Cruise liners stop over at Cape Town and Durban. However, using sea transport to move from one city to another in South Africa is very uncommon. The ports are used mainly for the import and export of freight. As stated above, public transport in South Africa is present where there is demand. What this means is that tourists usually need to hire a car and do their own driving. However, making use of public transport is an option, as long as you are travelling on a well-used route. Buses and trains run between the main cities, and within the cities there are local metro rail networks and bus and minibus taxi services. It may take some time to get to know these services, as it will in any city. Be advised not to enter areas of a city that you have not researched beforehand. But then again, that principle applies in any city the world over.